There are a number of different ways to hack someone’s text messages without them knowing. These days, people have most of their conversations through text messages. As such, if you hack someone’s text messages, you gain insight into every aspect of their lives. A couple of years ago, most people texted directly through SMS. However, these days, people mostly text message through social media and instant messaging apps. As such, if you want to hack text messages, you should find an app that allows you to hack both text messages and social media. There are a number of text message hacking apps in the market. However, a lot of them are fraudulent, and some are even designed with the intention of spreading malware. As such, you should be careful about downloading message hacking apps into your computer. In this article, I’ll show you how to hack text messages without them knowing using a safe and reliable app. Cocospy is the most reliable and powerful app when it comes to hacking someone’s text messages without them knowing. Even though Cocospy is a fairly new app, it has already become an industry leader. You can hack text messages either directly in the form of SMS’, or you can hack text messages from social media apps as well. With Cocospy, you can read all sent, received, or deleted messages, and check their date and time stamps. Furthermore, you can also view all of the media files exchanged. These days, most people use social media platforms or instant messaging services to message each other. So Cocospy also allows you to hack text messages from social media platforms. iPhone – Enter the target user’s iCloud information and start hacking, if you just want to hack text messages. However, if you also want to hack Social Media messages, you’ll have to jailbreak the iPhone and install the Cocospy app into it. Android — Install the Cocospy app into the target phone. If you want to hack simple text messages, no rooting is necessary. But for Social Media messages, rooting is necessary. Hide the Cocospy icon after installing the app. From the dashboard, you can either select the ‘Message’ option or the ‘Social Apps’ option depending on whether you want to hack SMS messages or Social Media messages. So now you know how to hack someone’s text messages from another phone in a safe and convenient manner. Cocospy is the most reliable app in the market so you can completely trust it. Remember that you should only jailbreak or root the target phone if you have to. If it’s not necessary to hack social media messages, then carry on without jailbreaking or rooting. If you have any other questions about how to hack text messages from another phone, please leave it in the comments below! There are a lot of different ways to read someone’s text messages without their phone for free. If you search for it online, you’ll come across endless search results. However, most of those methods are likely to be scams and some of them might even spread viruses to your computer. When you’re trying to hack someone’s text messages online, you have to be sure to use the correct apps and methods. In this article, we’ll show you how to read someone’s text messages without their phone in a safe manner. These methods can be used to do a number of things, including reading other’s Facebook messages without password, checking someone’s Snapchat without them knowing, etc. Cocospy is one of the best apps with which to read someone’s text messages from another phone for free. This is one of the most reliable apps in the world and it’s used by millions of people from around the world. Furthermore, this app allows you to read text messages online without having to either jailbreak or root the target phone. It’s better to use a no-jailbreak or rooting method because that’s a lot safer and doesn’t leave the target phone vulnerable to malware. In the case of iPhones, you won’t even have to touch the target phone. 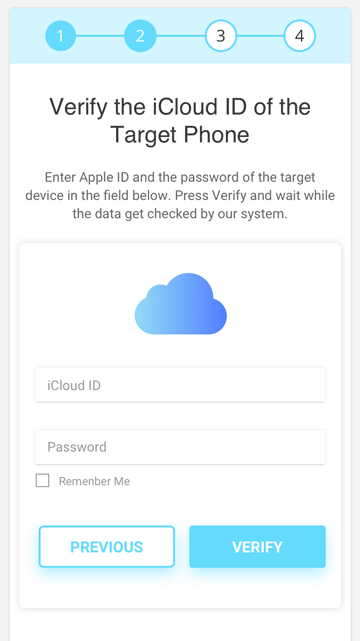 You simply need to enter the target user’s iCloud credentials and you’ll gain complete access to their phone. For Android, you need to physically access the target phone and install Cocospy into it. Android – Access the phone and install Cocospy into it. Hide the app after. iPhone – Enter the user’s iCloud credentials during the setup. 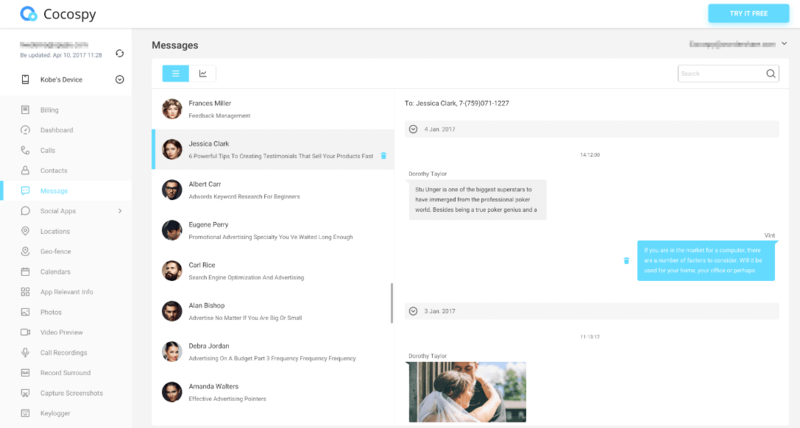 From the dashboard, click on ‘Messages’ to gain access to view text messages online. mSpy is also an extremely effective app to read someone’s text messages without having their phone. 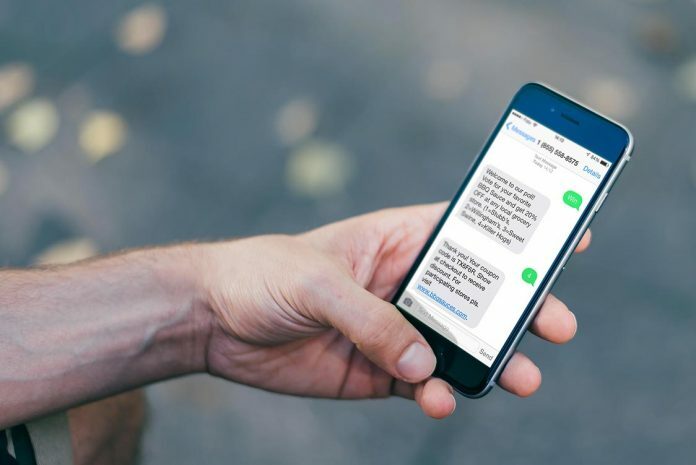 mSpy allows you to intercept all text messages, both received and sent. Furthermore, it keeps a backup of all messages so even if the target individual deletes the messages, you can still view them. In addition to intercepting messages, it also shows you the date and time stamps, and gives you contact details. In order to read text messages online, you’ll have to install the mSpy app into the target Android phone. For iPhones, you can simply use the user’s Apple ID and password, if you have access to them. You don’t need to either jailbreak or root the target phone to read text messages. How to Read Someone Else’s Text Messages Without Their Phone? Purchase Basic mSpy. You don’t need the Premium package if you just want to read text messages online. Purchasing the Basic package is enough. However, if you want to monitor up to 3 phones, you can get the Family kit. You’ll receive a link to the control panel. You can now set up mSpy. Select the type of phone you want to monitor — iPhone or Android — and then select the no-jailbreak/rooting version. iPhone – Enter the user’s iCloud details. Android – Install mSpy into the target phone physically. Go to the mSpy control panel and click on the ‘Text Messages’ tab to start viewing text messages online. 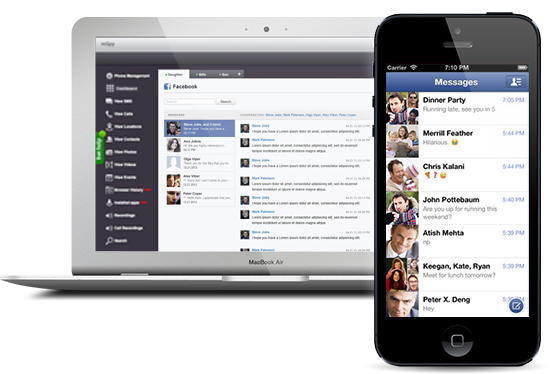 Spyzie is yet another effective app with which you can read text messages online without the target user’s phone. It’s quite cheap and effective. However, it’s not as reliable as the other apps in this list and it doesn’t have as many great reviews. When it comes to reading text messages from another phone, Spyzie lets you read all messages sent/received/deleted. You also gain access to the date and time stamps, along with details on all of the target user’s contacts. How to Read Other People’s Text Messages Without Them Knowing? Enter the target phone’s information. iPhone – Enter the iCloud details. 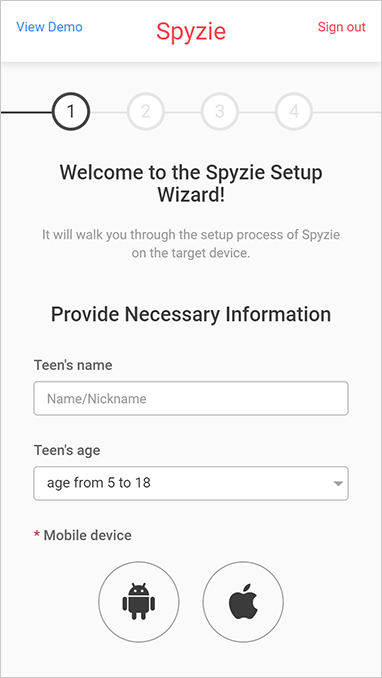 Android – Download the Spyzie Android app and then install it into the target Android phone. It’s necessary to physically access the target Android phone. 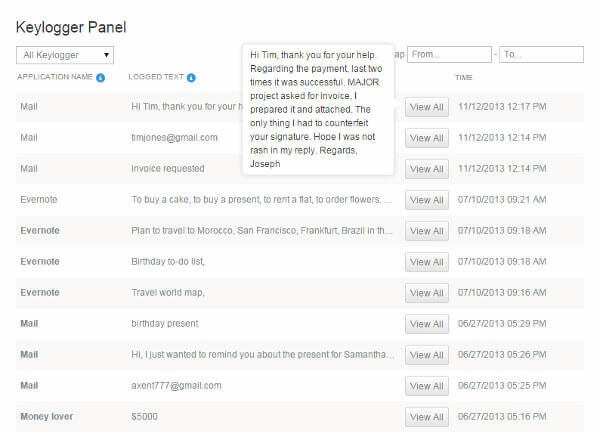 From the Spyzie control panel, select the ‘Messages’ option and start reading text messages online. 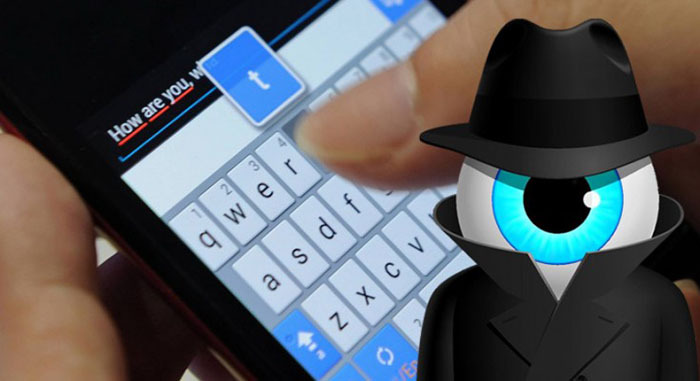 There are a number of text spy apps in the market. However, in this article, I’ve shown you all the different ways in which you can read someone’s text messages without having their phone for free. All of these methods work without you having to jailbreak or root the target phone, and that’s one of the best parts about them. My personal recommendation would be for you to use the Cocospy app because it has all the best features, is highly trustworthy, and is quite reasonable. In comparison to that, mSpy isn’t as cheap and Spyzie isn’t as reliable. However, whichever app you use, do let us know about it down in the comments section! There’s a lot that you can find out about a person by reading their text messages. You can find out who they are in contact with, what’s the nature of their relationship, and many other details. That’s why a lot of people have been asking us how to intercept text messages online. We’ve been getting messages from concerned parents, spouses, and employers. Parents are often concerned that their kids are constantly texting but they never talk to their parents. As such, if you use a text message interceptor, you’ll be able to find out what they’re dealing with, and maybe help them. In this article, we’ll show you how to intercept text messages without target phone for free using three unique text message interceptors. So read on to find out how to intercept text messages. mSpy is is one of the most popular and efficient text message interceptors in the market. It al-lows you to read all text messages either sent, received, or deleted from the target phone. 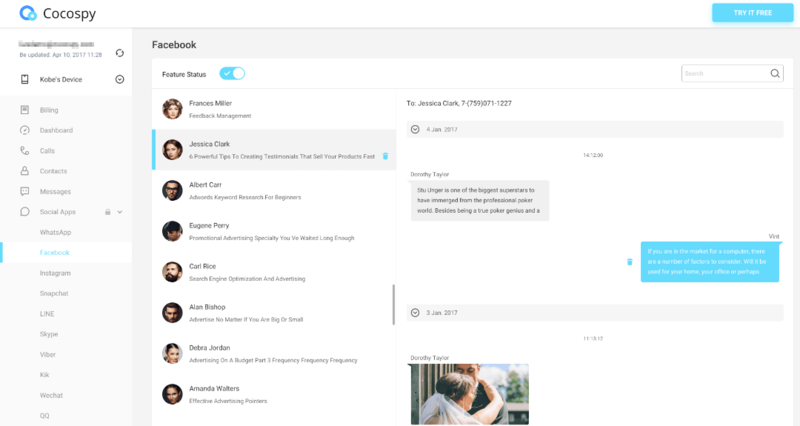 In ad-dition to intercepting text messages, it also allows you to gain contact information. In addition to text messages, you can also use mSpy to track WhatsApp messages and other social media platforms like Facebook and Snapchat as well. How to Intercept Text Messages via mSpy? Cocospy is the best and most reasonable text message interceptor in the market. While it is every bit as powerful and reliable as mSpy, it’s a lot cheaper as well. It also enjoys the support of millions of users worldwide so you know it’s trustworthy. You can use Cocospy text message interceptor to read all messages, even after they’ve been deleted by the target user. And you can also use to get a date and time stamp on the message, along with contact details. However, the best aspect is that you don’t have to jailbreak or root the target device. 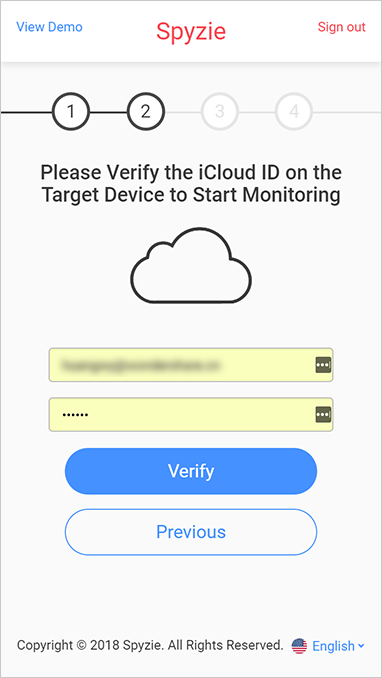 For iPhone, if you have the iCloud credentials, you don’t even need to physically access the target phone. And for Android, you can simply download it into the target phone without rooting it. How to Intercept Text Messages via Cocospy? 1. 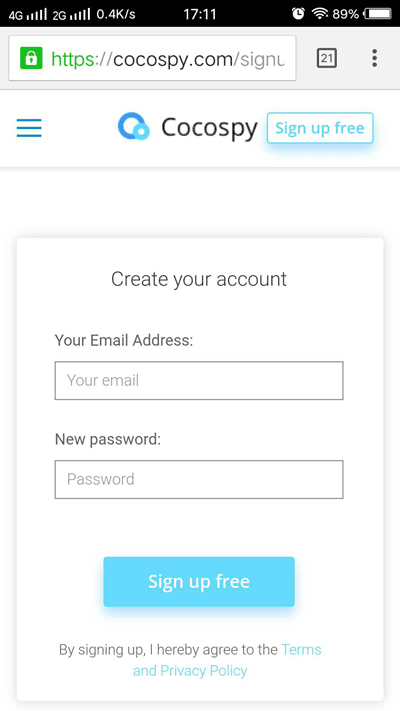 Create a Cocospy account. 3. iPhone – Enter the target user’s Apple ID and password into the Cocospy setup page. 4. Go to the Cocospy dashboard. 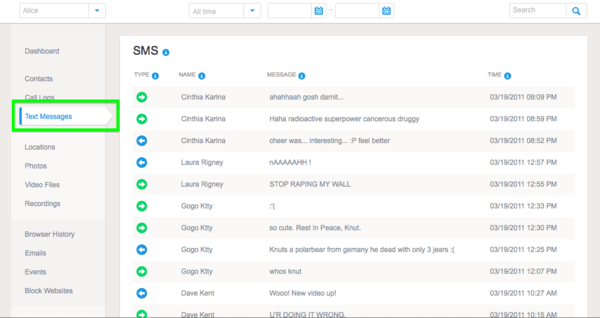 From the left-hand panel, click on the ‘Message’ option to get a complete log of all the messages. 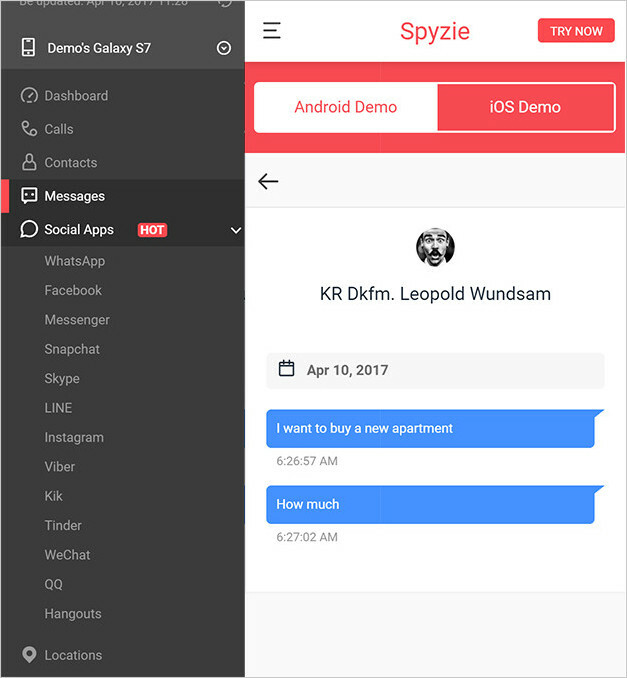 Spyzie is another alternative text message interceptor. It’s effective because it allows you to read all text messages, along with a date and time stamp and contact details. However, it isn’t as reli-able and trustworthy as Cocospy, and that is a huge factor. How to Intercept Text Messages via Spyzie? Some want to hack an Android phone to be able to monitor their children and make sure they’re safe at all times. Parents are usually concerned that their kids will be subject to cyberbullying, and they want to protect them from it. There are a number of reasons for parents to monitor their children’s phones. We also hear from employers who want to install Android hacking apps in company-given phones so they can monitor their employees’ activities during work hours. Finally, we also hear from suspicious spouses who want to find out if they’re being cheated on by their partners. 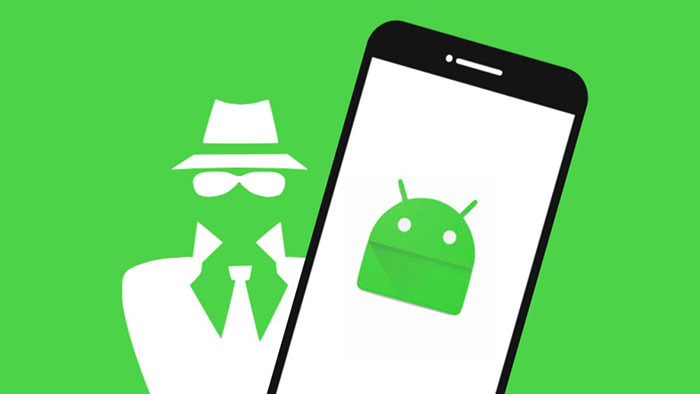 While we hear from a lot of other people as well, these are some of the most common reasons for learning how to hack Android phone remotely. There are a lot of Android hacker apps in the market. However, a lot of them are fake, and some are so outdated that you risk exposing yourself if you use them. You need to use an Android hacker app that’s completely discrete so you won’t be found out. Furthermore, you should also try hacking Android phone without having to root it. Most hacking apps require you to root the phone. In that case, you make the phone vulnerable to malware. In this article, I’ll show you 3 best ways to hack someone’s Android phone without them knowing. Cocospy is the best app in the market with which to hacks someone’s Android phone without them knowing. In this part of the article, I’ll give you all the reasons why you should be using Cocospy. And then I’ll show you hack to hack an Android phone using it. Cocospy is one of the most legit and trustworthy hacker apps in the market with millions of happy users from around the world. 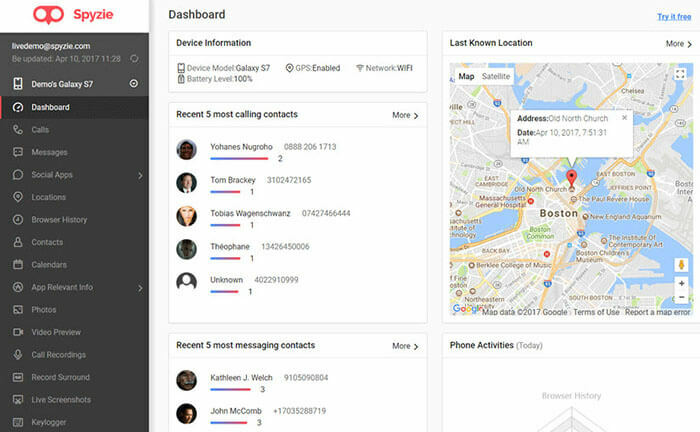 You can spy on Android phones without having to root them. You can install the Cocospy app directly without rooting. Cocospy saves the target phone’s information so you can access their data even if they personally delete it. Geofencing: Set up a physical boundary for the target phone. When the Android device will leave that area, you’ll get notified. 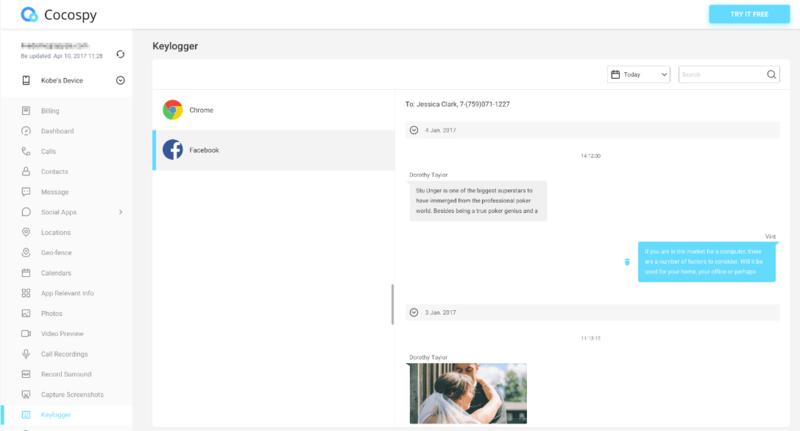 Social Media & Instant Message Monitoring: Cocospy gives you complete access to Social Media and Instant Messaging apps such as WhatsApp, Instagram, Skype, Facebook, etc. Keylogger: This feature allows you to gain access to the target phone’s keystrokes. As such, you can find out all of the target user’s passwords. How to hack an Android phone remotely? Step 2: Access the target Android phone. Install the Cocospy app into it, and then hide the icon. Yes, you don’t need to root the target device. Step 3: From the Cocospy dashboard you can now control every aspect of the target user’s phone. Once you complete these simple steps, you can read someone’s Facebook messages without their password, hack their Instagram, and do a number of other things as well. Spyzie has some of the same features as Cocospy. However, it is not as reliable as Cocospy because it doesn’t have as many reviews and such a spotless track record. Read on for a detailed overview of this Android hacker app and how to use it. Spyzie can hack the target Android phone without having to root it. However, much like all other apps, this will give you access to limited features like call logging, message logging, checking browser history, etc. You can set up a geofencing around the target phone so you get notified whenever the individual leaves that pre-set area. You can track all of the target user’s keystrokes and thus decipher their Social Media passwords. You can listen to live phone calls and record them. The best aspect of Spyzie is its discretion. After you install the Spyzie app into the target phone, the app automatically hides the icon. As such, there’s no capacity for human error. An Android monitoring app is available if you want to hack Android phone on the move. How to hack Android phone using another Android phone? During the setup process, enter the target phone’s information. Hacking app for Android free download. After accessing the target phone, you have to install the app into it. You can decide whether to root or not depending on the features you want. 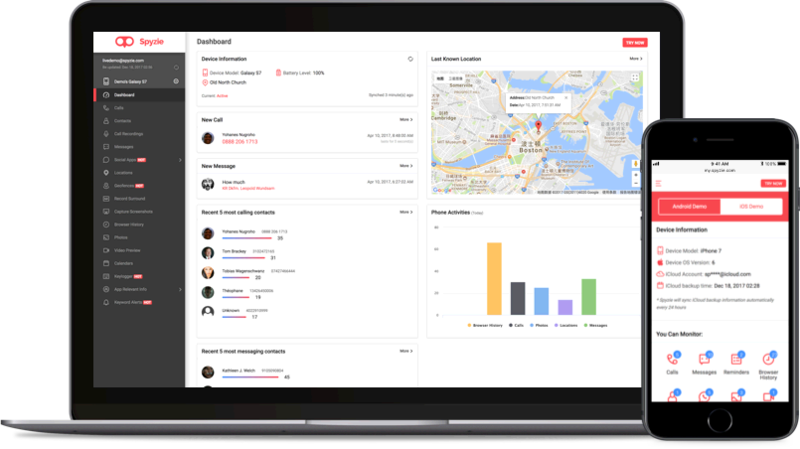 Now you can go to your dashboard and hack Android phone remotely. 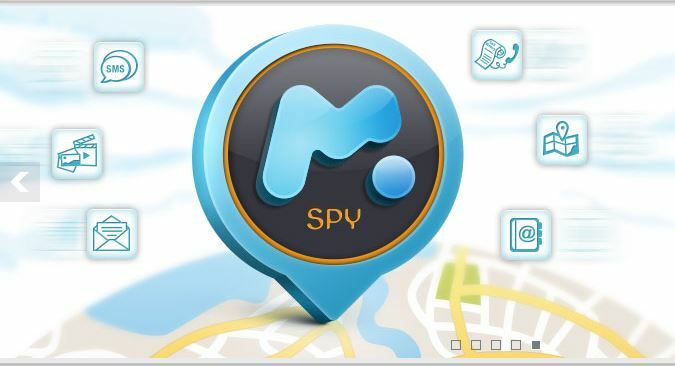 mSpy is another one of the most powerful and popular hacking tools for Android in the market. It has some really powerful features and great reviews. However, it’s also considerably more expensive than both Cocospy and Spyzie. Read on for a detailed overview of mSpy and how to use it to hack Android phones remotely. 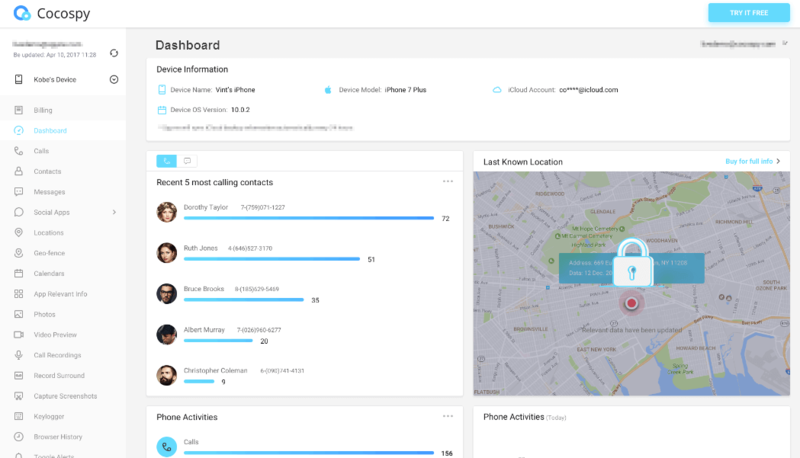 You don’t have to root the target phone to be able to access the basic features such as call logging and location tracking. mSpy is discrete and you can delete the app’s icon immediately after installing it into the phone. It runs silently in the background and doesn’t drain the batteries either. Keylogging: This feature allows you to gain access to a log with all of the target user’s keystrokes. As such, you can figure out what all the social media passwords are. Geo-Fencing: You can get a notification whenever the target individual crosses a physical boundary that has been set up by you. Social Media Hacking: mSpy can hack the widest range of social media apps out there. It can hack Skype, Facebook, WhatsApp, Telegram, Instagram, Viber, Snapchat, and various others. Buy mSpy. You can purchase the Basic package if you don’t want to root the Android phone and want basic features. The Premium package gives you access to advanced features, however, they are only accessible after rooting the Android phone. Finally, Family Kit is ideal for individuals who want to hack as many as 3 devices simultaneously. You’ll receive a link to your Control Panel. While setting up mSpy, choose the Android option and then choose whether you want the Rooting version or the Non-Rooting version. Access the target phone and install mSpy into it. Depending on your preference, you can root the phone before the installation. For this step, you can also seek help from mSpy’s 24/7 customer support, and you can even pay for mAssistance so the support staff come to your home and install mSpy for you. Now you can access the target user’s Android phone directly from your mSpy control panel. This article has given you a detailed overview of the 3 best ways to hack someone’s Android phone without them knowing. My personal recommendation would be to use Cocospy as it has all the positives and almost no drawbacks. Spyzie is unreliable in comparison to Cocospy. And mSpy is far more expensive than Cocospy. As such, Cocospy isn’t just the most powerful Android hacker app, but it also gives you the best value for money. If you have any other questions about how to hack Android phone remotely, feel free to mention it down in the comments section. 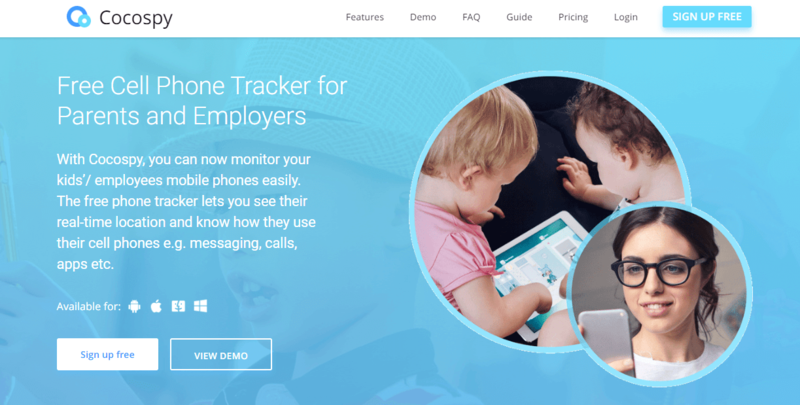 We’ve also heard from employers who would like to track their employees, spouses ( Check: How to Catch a Cheater: 20+ Best Phone Spy Apps, Cameras & Tricks ) who would like to find out where their partners go after work, and individuals who would like to tracker their own lost phones! Regardless of what your reason may be, you need a good phone tracker app if you want to track your Android phone. There are apps out there that allow you to track the GPS location of your Android phone so you can get to it. In this article, we’ll show you how to track Android phone from iPhone. Cocospy is the best app with which to secretly track someone’s Android phone from their iPhone. In this part of the article, we’ll give you a detailed overview of what this app can do and how it can help you. Cocospy enjoys the support of millions of people from over 190 countries around the world. As such, it’s one of the most reliable and trusted apps in the market. When you’re secretly tracking someone’s phone, reliability is a necessary quality. How to track Android Phone from iPhone? 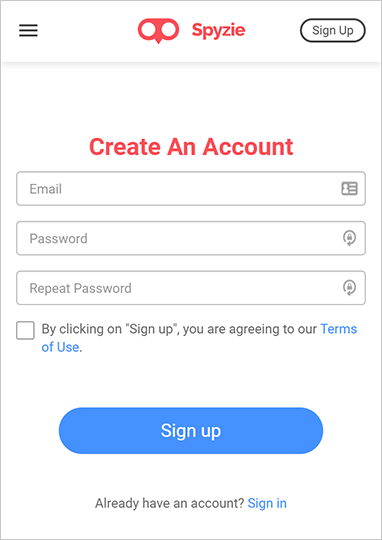 Sign up FREE for a Cocospy account. Access the target Android phone and install the Cocospy app into it. Go to the Control Panel and select the ‘Location’ option from the dashboard. Now you’ll get complete live updates of the target phone’s location. In order to track the Android phone from your iPhone, you can install the Cocospy app into your iPhone as well. As such, you’ll be able to access the dashboard in your own iPhone. What kind of data can Cocospy track? 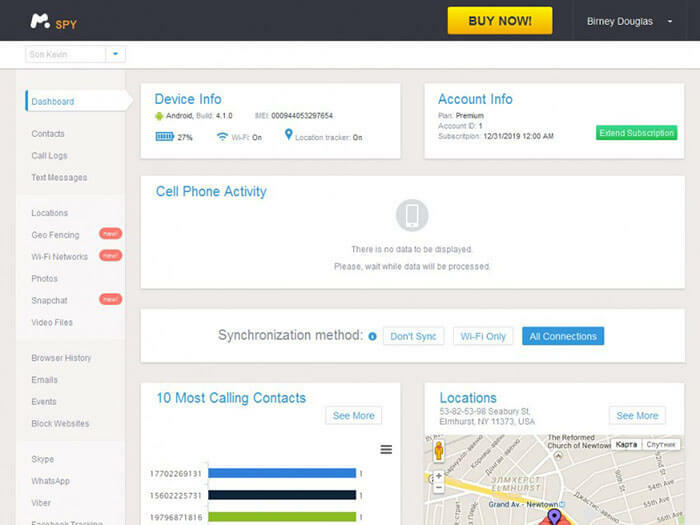 Cocospy can track the exact GPS location of the target phone. As such, no matter where the target individual may be, you’ll know. You get real-time updates of their GPS location, along with a complete route history so you can see where they have been throughout the day. Does it need to Root? You don’t need to root the target Android phone in order to track its GPS location. You simply need to install the app into the target phone and you’re all set. Is it in stealth mode? Cocospy is completely stealthy and reliable. After you install the Cocospy app into the target phone, you can delete its icon. Furthermore, the app runs silently in the background and it doesn’t drain the phone’s battery either. As such, it’s completely invisible. Know more about Cocospy’s stealth mode. Now you know how to track Android phone from iPhone without having to root the target phone. Cocospy is the best app for this purpose because it’s completely reliable and trustworthy and has an efficient GPS tracking feature. If you have any other questions about tracking Android phone locations, please mention it down in the comments section. We’ve been getting a lot of questions from concerned individuals who want to find out how to track an iPhone by phone number. To address that concern, we’ve written this article. You can track an iPhone mobile number’s location by installing an app into the target iPhone. This will give you a real time GPS location update of the phone wherever it goes. You can enter the iPhone number into a mobile tracker website. This is a simple process that will give you the number’s registered home address. In this article, we’ll show you how both of those methods work. So read on to find out how to track an iPhone by phone number. Cocospy is the best iPhone location tracker app in the market. It can help you gain real-time location updates on the target iPhone wherever it is. It can’t track via the phone number directly, however it CAN track the phone number’s current GPS location. You can do this in one of two different ways. You can physically access the target iPhone, jailbreak it, and then install Cocospy into it. Or you can enter the target iPhone’s iCloud details into the setup process and track its location remotely. How to Track Someone’s iPhone Location by Phone Number using Cocospy? Jailbreak Version – Access the iPhone, jailbreak it, and install Cocospy into it. Hide the icon after you’re done. Non-Jailbreak Version – Enter the iCloud’s credentials into the setup menu. From you personal control panel, click on the ‘Location’ tab and monitor the iPhone number’s current GPS location. 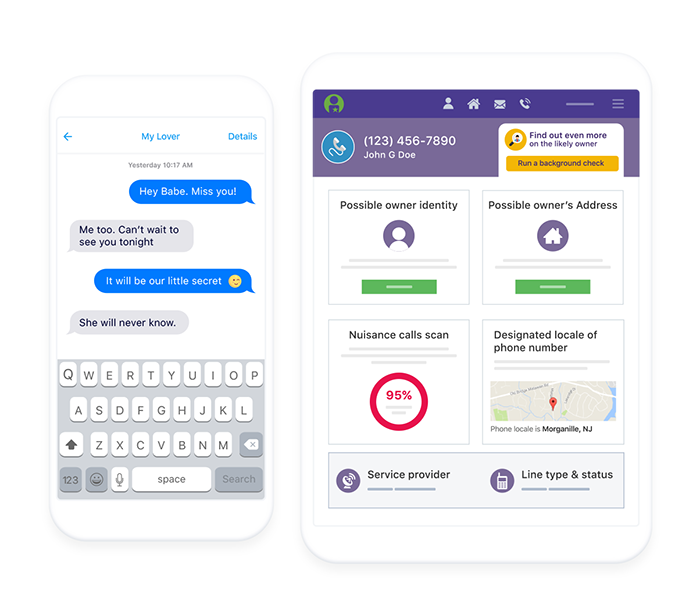 BeenVerified is a powerful tracker website that can give you the iPhone user’s personal details with just their phone number. You don’t have to install any app into any phone. You just need to enter the phone number (with the extension number) into the search bar and click on ‘Start Search’. You’ll get all the necessary information within just a few seconds. 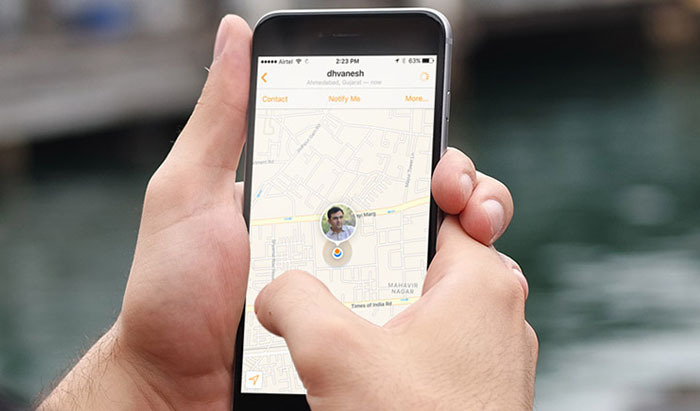 BeenVerified is the ideal iPhone tracker by phone number. It can give you background info into an unknown caller so you can determine how to deal with them. However, it can’t give you the current GPS location of the caller, only their registered address. 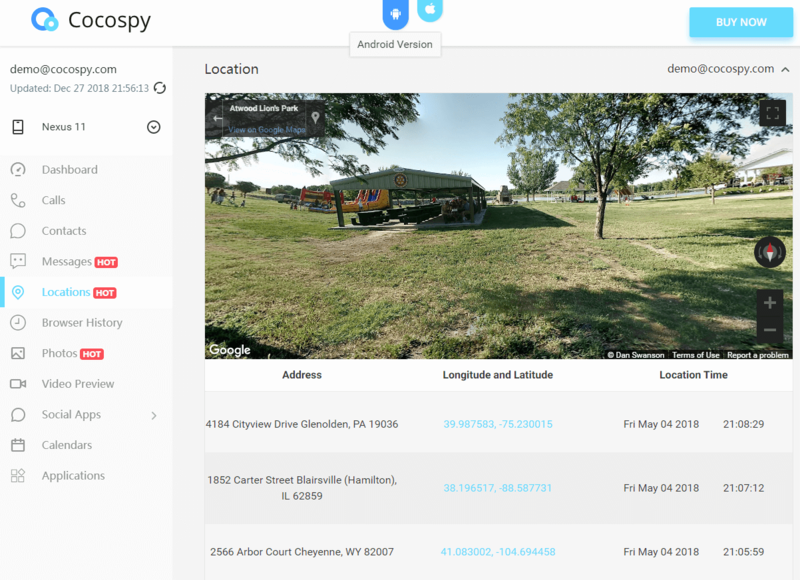 If you want to find out the GPS location, you’ll need to use a professional surveillance app like Cocospy. That’s all folks! Hopefully, this article has helped you figure out how to track an iPhone by phone number. 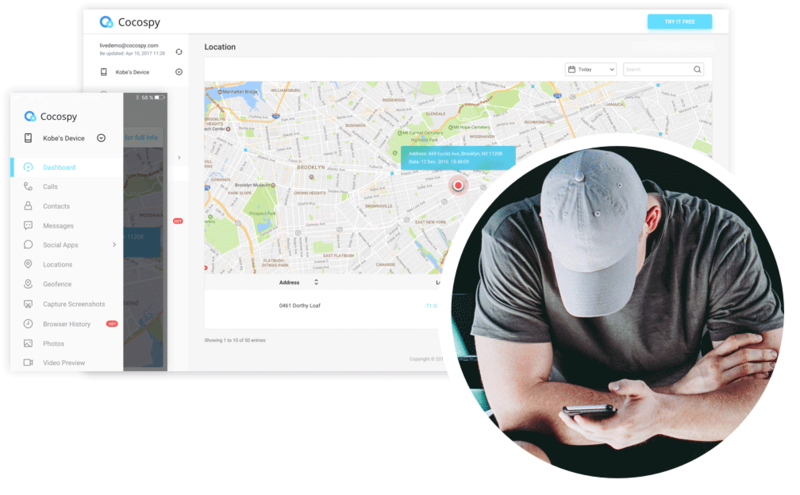 If you’re not set on looking ONLY for iPhone numbers, you can also read our more general article on the 5 Best Online Mobile Location Trackers.